A negative story that seriously damaged the reputation of Betsoft emerged in July 2016. It was discovered that the progressive jackpots did not pay out as they should do normally, and at least one of them was not paid out correctly. For more information, you can read our news with the title Warning: the progressive jackpots from Betsoft could have been tampered with. The company Betsoft was founded in 1999, and it is one of the biggest names in the industry today. However, the company was relatively unknown until the late 2000s, when they first introduced their famous Slots³ range of 3D video slot machines. Many of these games have absolutely fantastic graphics, some good examples are Alkemor's Tower, It came from Venus and After Night Falls. The company also offers games with innovative an interesting features, for example Good Girl, Bad Girl and Sugar Pop offer many interesting options and diverse game-play. 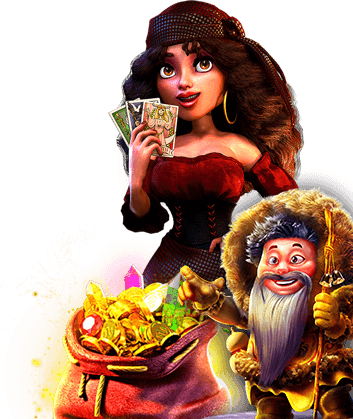 There is also an interactive slot machine called WhoSpunIt, which is absolutely brilliant, and there are many games inspired by a popular novels, such as Pinocchio, A Christmas Carol and Dr. Jekyll & Mr. Hyde. But the company does not only develop video slots, there is also a great selection of 3D animated table games, video poker, scratch cards and an amazing 3D virtual horse racing game called Virtual Racebook 3D. You can find the games from this excellent developer in the casinos mentioned in the following list. WHICH ONLINE CASINOS ACCEPT Betsoft IN 2019? games are available on iOS and Android mobile smartphone and tablet devices. the games cannot be downloaded. The software developer Betsoft currently holds a gaming licence that was issued by the regulatory authority of Curaçao. They used to have a second license, but in July 2014 the regulatory body of Alderney suspended the license without giving an official reason. It is likely that the suspension followed when Betsoft wanted to offer games to players on the US market. At the same time, Betsoft stated, that the suspension was due to them not wanting to renew their licence.